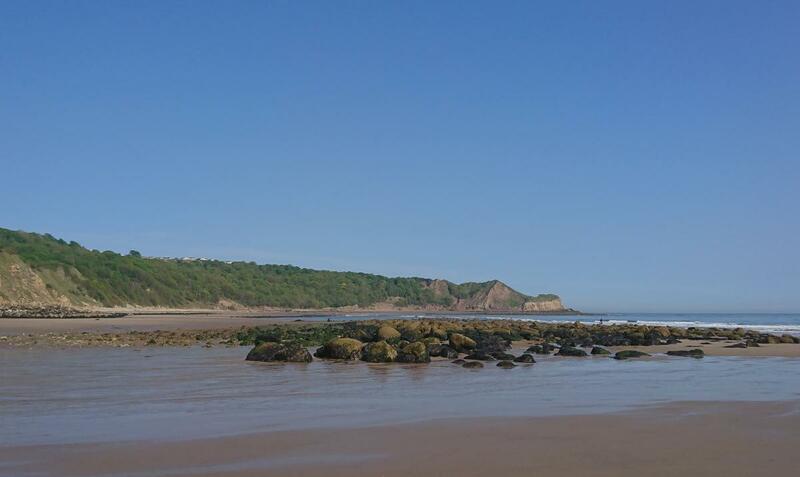 I have been visiting Cayton Bay for nearly fifty years. In all that time it hasn’t changed much. It is a beautiful place to explore, whatever time of the year you visit. 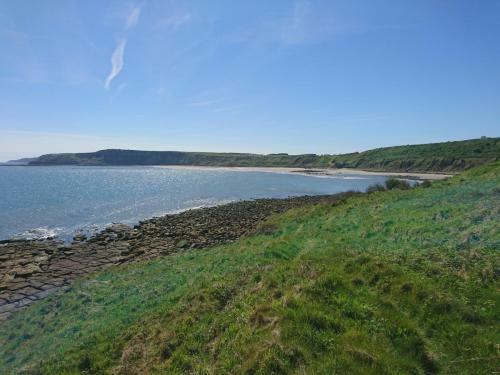 The Bay is about a kilometre and a half wide and is very popular with surfers, anglers, dog walkers and bird watchers. 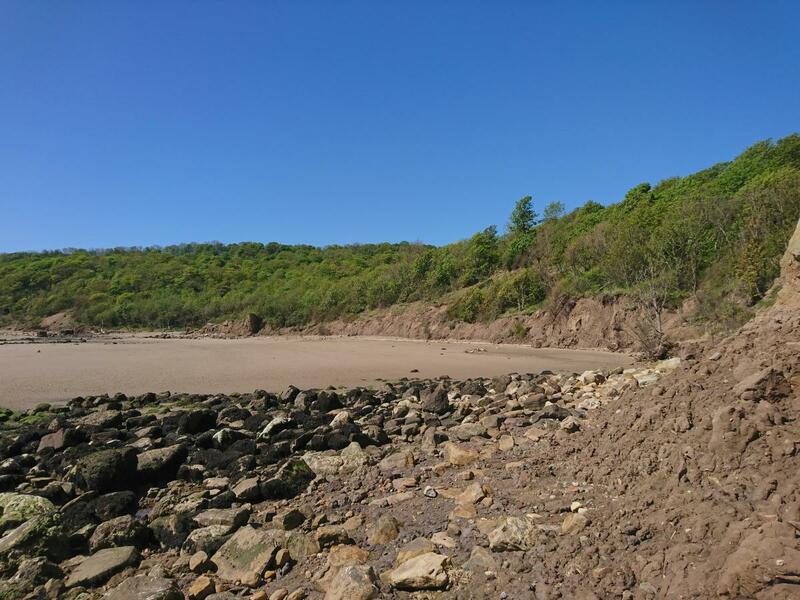 Low tide exposes some rocky outcrops and large areas of sandy beach. 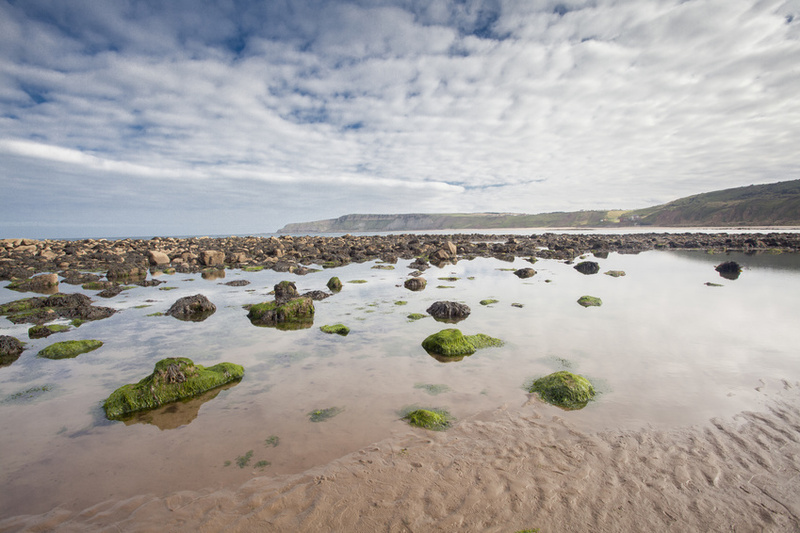 Check tide times at UK Tide Times. Cliffs back the beach at the southern end and woodland at the northern end. The beach is dog friendly all year round. Water pollution is nothing to worry about here, Cayton Bay consistently wins awards for clean water. 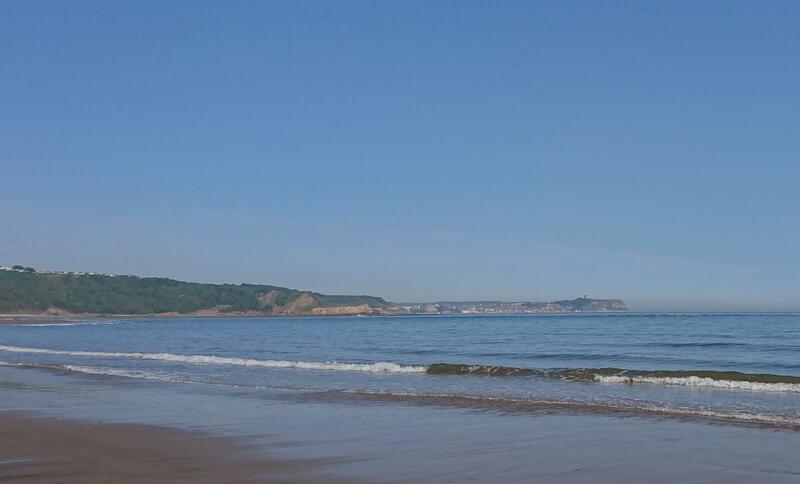 Cayton Bay lies between the resorts of Filey and Scarborough. It stretches from Knipe Point, through Johnny Flinton’s Harbour, past the pumping station, to High Cliff at the southern end of the Bay. 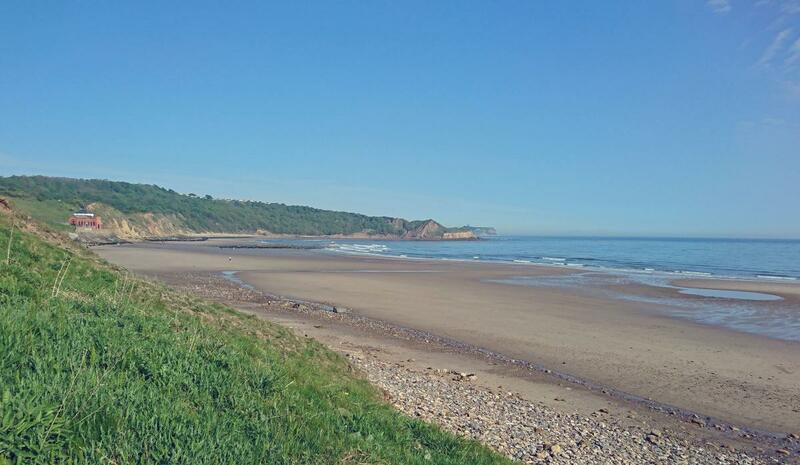 Most days the beach is quiet, so if you are dog walking, your dog can have a good run about, especially at low tide. There are four different ways to access the beach. Whichever way you choose, a walk to one end of the bay, then the other end and back will take about an hour. You could start off with a walk into Cornelian Bay. 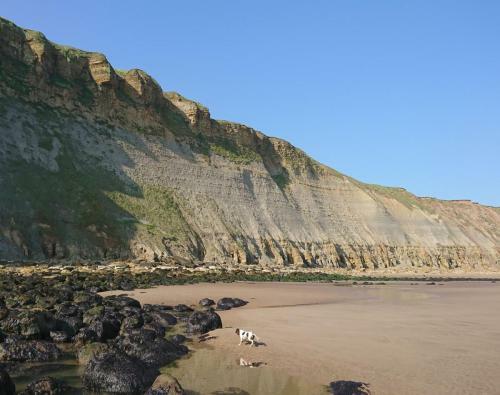 Then walk / scramble over Knipe Point into the Northern end of the Bay. 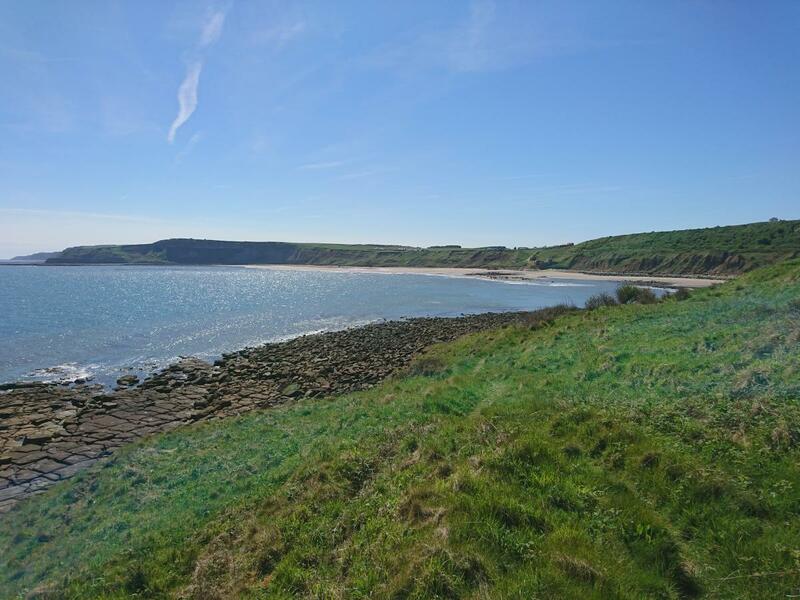 Walk back along the cliff top via the Cleveland Way footpath. 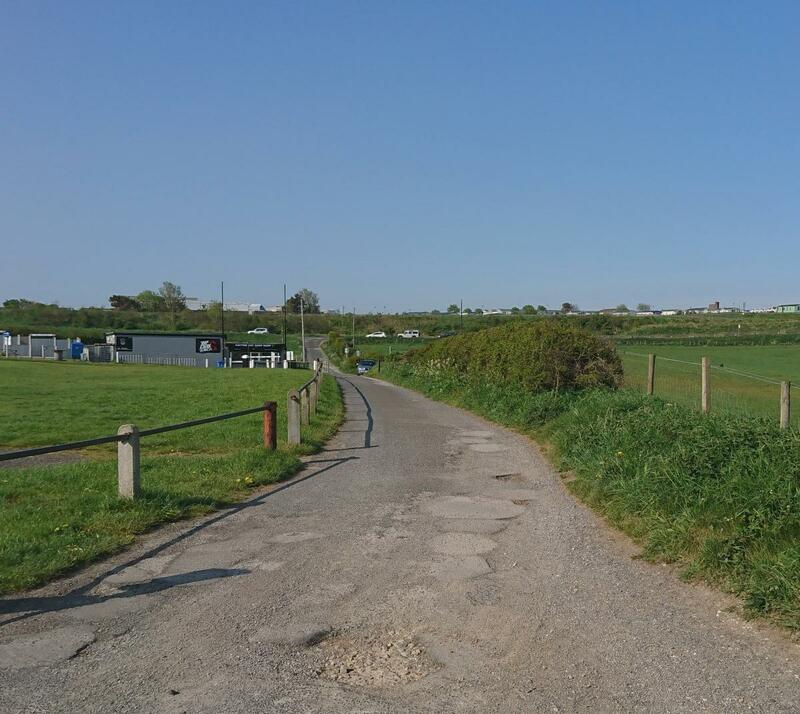 Use the pumping station path to leave the beach. Climb the steps to the little kiosk that sells ice creams and drinks. Finally, walk up the cobbled way. There is a signpost at the top showing the Cleveland Way footpath. 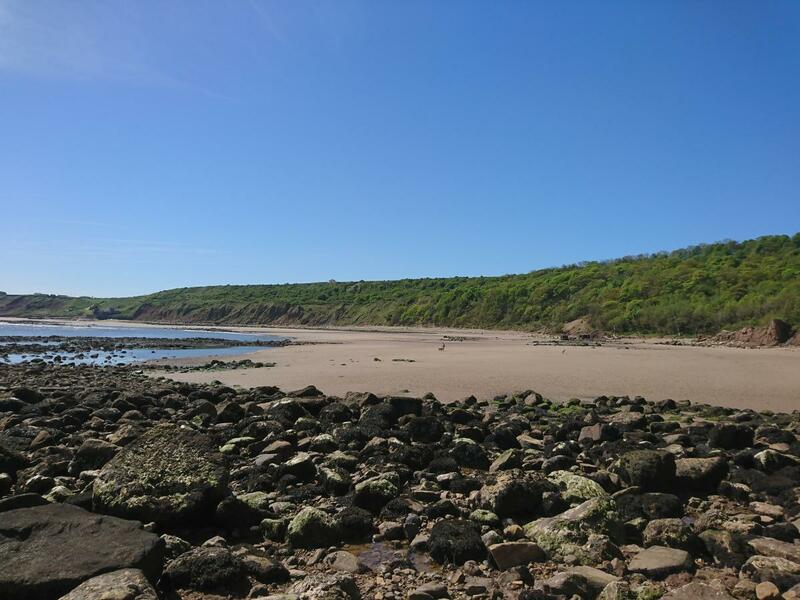 If you just want to explore Cayton Bay, ample free parking is available on the side of the old A165 road at the top of the cliff. There is also a barriered, private pay car park near the surf shop. There are two lanes which lead down to the beach. The lane at the Filey side runs past the pay car park. Finally, it turns into a narrow, steep path, which can be a bit of a challenge in the wet. 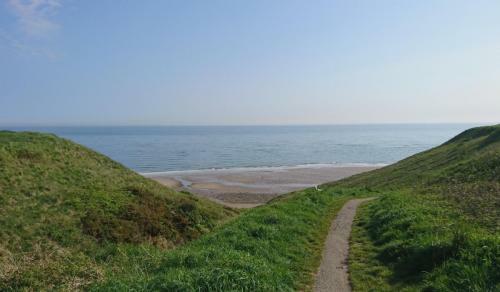 An easier option is to use the path on the Scarborough side. 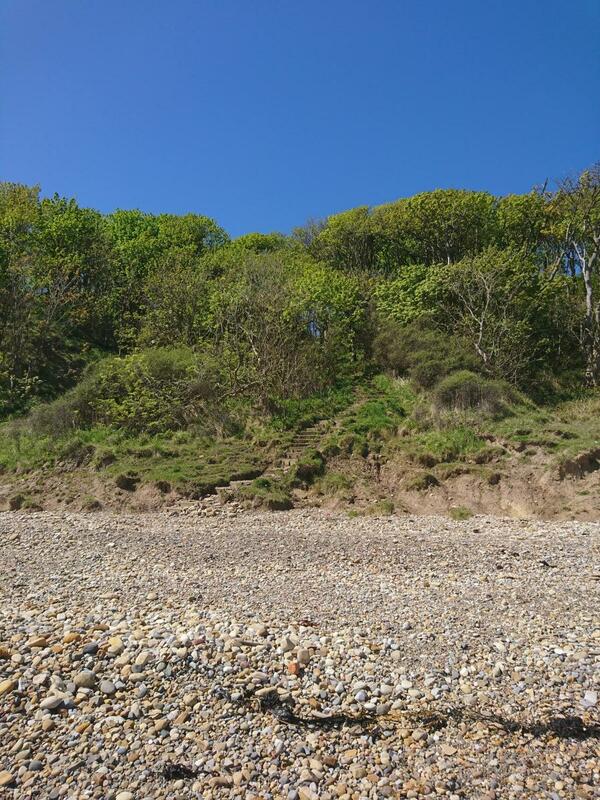 This is much wider and runs down to the pumping station where a series of steps lead to the beach. This path is much easier to walk down and the most popular way to the beach. 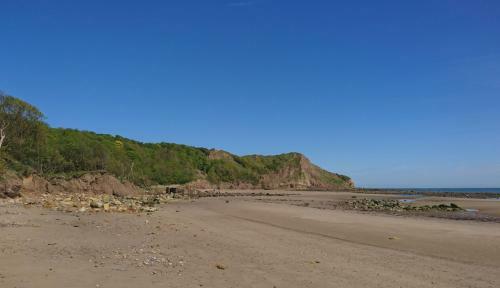 The Cleveland Way footpath connects these two routes at the top of the cliff. 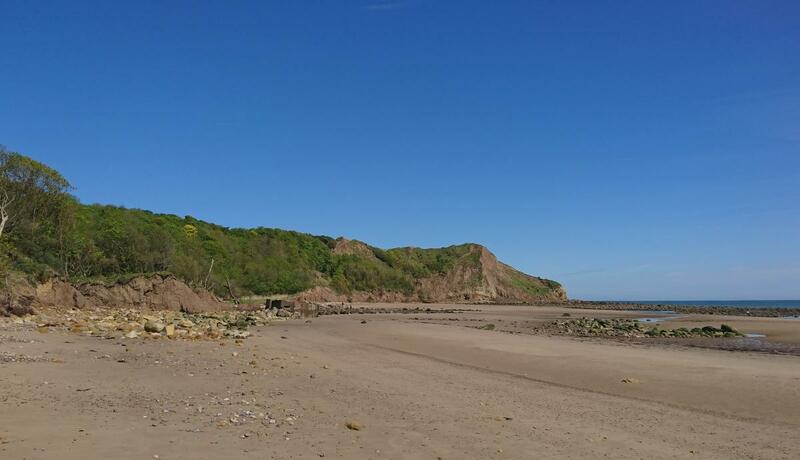 As an alternative, walk up the old A165 road towards Scarborough to the edge of Osgodby. On the right is a woodland track, which leads through the woods down to the beach. This will take you to Johnny Flinton’s Harbour. 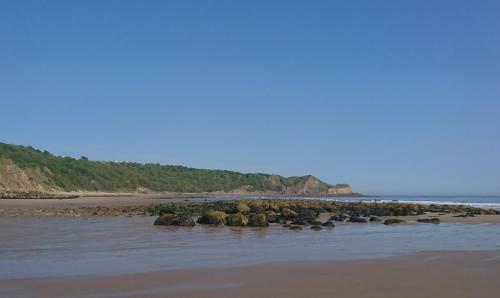 Cayton Bay viewed from the top of the cliffs at the southern end of the bay. 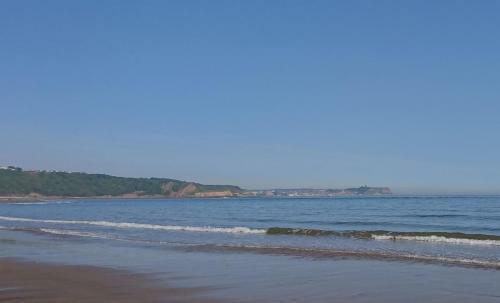 Cayton Bay viewed from Knipe Point. 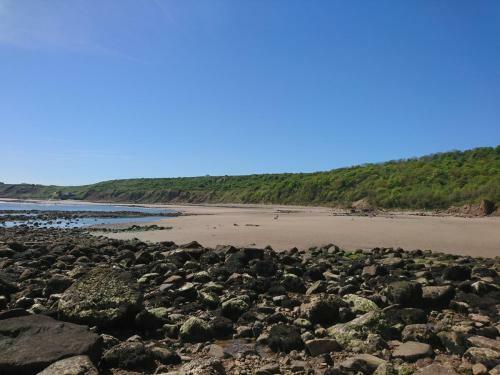 Cayton Bay, North Yorkshire - Steps from Beach through woods. Surfer's Car Park Cayton Bay. Cayton Bay viewed from surfer's car park. 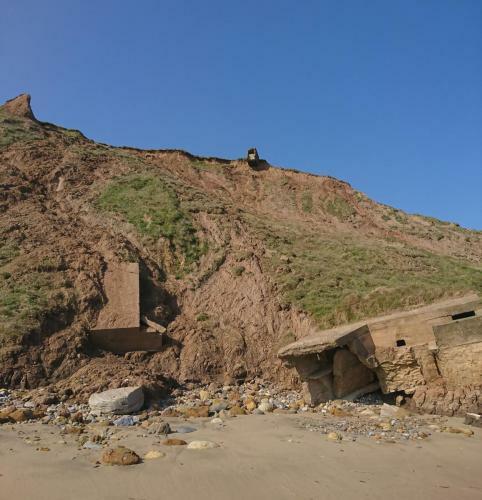 Cliffs at Cayton Bay with precarious WW2 building on cliff top. Make sure you walk to the southern end of the bay, High Red Cliff is quite spectacular as it towers several hundred feet above you. The golden-coloured band of vertical rock near the top of this cliff is Calcareaus Grit. Below it is a much thicker layer of Oxford Clay, this shaly clay has crumbled to give a steep grey slope, partially colonised by grass. All of that rests on a base of Hackness and Kelloway Rocks. Fossils are often found in this area. Visit UK Fossils for more information.